A great alternative to loaded fries, this dish loaded with chorizo, onions and chilli mayonnaise is a great American inspired snack or side. Using good quality HELLMANN'S Mayonnaise adds the creaminess and flavour to this dish. Combine HELLMANN'S Mayonnaise and KNORR Mixed Chilli Puree. 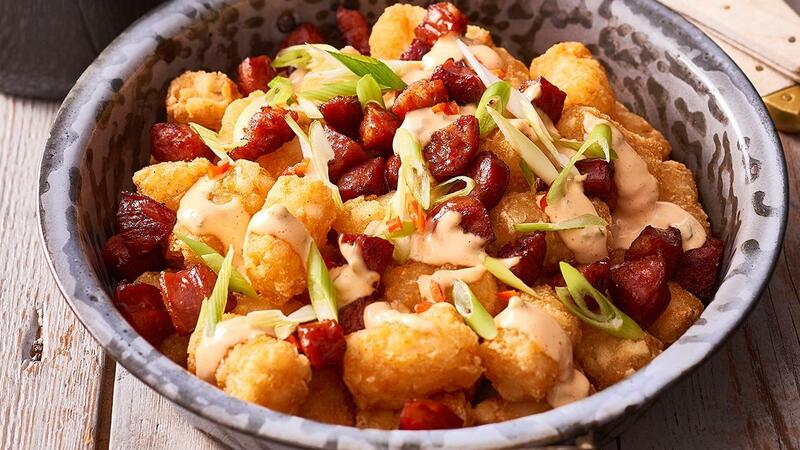 Place potato gems in bowl, top with chorizo, green onions, red chilli and drizzle chilli mayonnaise. Add some avocado and coriander for freshness.